I try not to brag about my son, I really do. But every so often, I can’t help myself and this is one of those times. Doing what he loves – scuffling in the trenches. He was cut from the sprint football team Plebe Year and while disappointing, that really turned out to be something of a blessing. Plebe Summer had taken its toll and the strain of a varsity sport might have been too much. But he did find time to get himself in better shape to the point where he participated in Spring drills and earned an invitation to Summer camp. He worked hard that summer and earned a spot on the roster for his Youngster year, ending up on the second-string offensive line. While an accomplishment worth celebrating, he found playing time hard to come by and, like most athletes, he wanted more. So when the season ended, he jumped right into conditioning. He wanted to master the offensive strategy, so he scheduled time with his high school coach for an extended skull session over the playbook. He left feeling like he knew the playbook inside and out. He met with his former offensive line coach, focusing on footwork and getting out of his stance quicker and more explosively. He scheduled time with a trainer to work specifically on quickness and agility. In the shadow of a scoreboard that says it all – Navy, CSFL Champions! I cannot imagine him being more prepared when he arrived for camp in August. That being said, he still found himself trying to fight his way into the starting lineup. By the time the season started, he did. 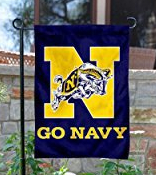 And by the time the season ended, he cemented a spot at left tackle and Navy won the league championship, defeating Army in the title game, 24-10. Being a USNA parent has been a roller coaster – moments of unbearable stress mixed with breathtaking highs and stretches of almost numbing calm. With all of that, there is always pride, pride for your child’s commitment to serve and accept the challenges of academy life. This pride was a little different, a little more fundamental. All athletes want more. Not all are willing to not only admit where they need to improve but set up a specific plan to address those areas and execute a plan to make that happen. He did that and more. And was rewarded not just with playing time but by helping his team earn the right to sing second after a championship game.